Among all the social media posts and email you get each day, not only do you get updates from family and friends requesting you participate in their children’s fundraisers, you probably also see promotions for your friend’s side businesses. In Forbes, Tony Nitti called these businesses a “tax shelter for the middle class.” Yet, there can be many tax concerns for businesses like a friend who, outside of his day job, runs JP BBQ in Elk Grove, offering catering and occasional drive–thru dinners. The IRS may consider such companies hobbies rather than businesses which means the “hobby loss” rules (section 183 of the IRS tax code) apply. To be considered a business, a company must be in business to make a profit; they are not able to use a loss in one business tooff-set taxes they owe elsewhere. Tony Nitti uses the example of Cecile Barker, creator of the group Peaches and Herb. Barker left the music business and went on to other ventures, but later created a new music company. Even though he owned the capital and worked full time in the business, the IRS still classified it a hobby. This meant that the business could only deduct expenses up to the income the music business made for the year, Barker could not offset his losses in this business with his profits from his other ventures. Barker’s story is typical for businesses classified as a hobby: the owner has had success in another field and then decides to create a new business venture. Often the recreational or personal nature of the new business may lead to questions of intent: does the business owner intent to make a profit or is this just for fun? Businesses targeted by hobby loss rules often include such things as horse breeders, multi-level marketing distributors and catering, like the barbeque business mentioned above. While the IRS requires taxpayers to report their income from hobbies, the rules for reporting income and expenses depend on whether the activity is classified as a hobby or a business. Use the nine questions from the IRS to evaluate whether your activity is a business: https://#.irs.gov/faqs/small-business-self-employed-other-business/income-expenses/income-expenses. It is important to review all facts and circumstances about the activity since no one factor determines the status. In our experience, people risk the largest exposure of the IRS determining they are a hobby when they are not carrying onactivities in a businesslike manner. Consulting an attorney to better understand the requirements of running a business is a step many business owners overlook. Furthermore, consulting with an attorney can also be referred to as consultation with an expert, one guideline the IRS uses to evaluate the activity.Besides failing to consult with an expert, another symptom of not running the business in a businesslike manner is failing to establish separate bank accounts for the business. Business bank accounts should then be reconciled and financial statements generated to reflect the assets, liabilities and net income of the business. To fulfill this objective, it is usually best to hire a bookkeeping firm. This allows you to focus on growing the business and receiving monthly financials to demonstrate your intent to be profitable. With the time you spend or will be spending running your business,the goal should be to maximize your investment by being profitable. Concerned that the IRS might determine your business a hobby? Contact us and we can review your business to see what changes are necessary to put your business on the right path. Most large farm owners in the Sacramento Valley know about agriculture-related tax breaks such as the California partial sales and use tax exemption for farm equipment, machinery, and diesel fuel used in producing and harvesting agricultural products. Smaller farmers in Placer and Amador Counties can take advantage of these tax breaks too. But what if you run a small-scale farming business that doesn’t use machinery or diesel fuel, but instead relies on solar power? Tax breaks like these might not apply. Or maybe you don’t consider yourself a farmer at all and think you aren’t entitled to any agricultural-related tax breaks. Not only will you be missing out on invaluable tax breaks, you might get into a dispute with the IRS over whether growing heirloom varieties of grapes is a business or a hobby and what income you need to report. That’s why you need an accounting firm like Cook CPA Group in Roseville. Our tax professionals have an in-depth understanding of the federal and state of California farming tax code and we specialize in small agribusinesses just like yours—from wineries to flower farms, fruit and nut orchards to horse breeders and livestock ranchers all over the Sacramento Valley. We make it our job to stay current on tax laws affecting agricultural-related businesses—large and small. And we work with you all year long and make sure you understand how every decision you make about your farm affects your tax situation. Scenario: As a nature lover, there’s nothing better than observing the wildlife roam around your 100-acre property. Or is there? What if you created a “backyard” wildlife habitat and conservation area, planted heirloom varieties of fruit trees in orchard form for the wildlife and turned it into a property tax break? California, like every other state, offers property tax breaks for agricultural land. Specifically, farmers are able to take 20 to 75 percent off their property tax bill if they agree not to develop their land for ten years and do so with at least 100 acres. This is known as the Local Option Farmland and Open Space Program (Williamson Act). In addition, under California state law, fruit and nut-bearing trees or grapevines planted in orchard or vineyard form until harvested, are growing crops exempt from taxation. Fruit and nut trees are exempt until four years after the season in which they were planted. Grapevines are exempt until three years after the season in which they were planted. Scenario: You’ve bought a weekend home in Placer County and started growing lavender in the acreage adjacent to your home. You offer tours and sell bunches of lavender, lavender scented soaps, and candles that you’ve made at the Roseville farmer’s market–and realize that you’re making money. Your hobby is now considered a business. Scenario: You operate a farm stand in front of your house where you sell the fruits and vegetables that you’ve grown on your property. You’re not making a large profit yet, but the extra income comes in handy. Farms classified as a business, rather than a hobby fare better under federal and state tax codes. For example, if farming is a hobby for you, then you are only able to deduct expenses related to that hobby, and you can’t claim a tax loss. If your farming activities are classified as a business, you can take advantage of many more deductions and tax breaks. There are nine criteria for establishing a farm as a business including operate your farm in a businesslike manner, losses are due to circumstances beyond your control, and you depend on income from farming for livelihood. But you have to keep good records. Scenario: You planted a grove of olive trees and built a small outbuilding housing the equipment you need to cure the olives and press them to make olive oil, which is sold to local grocers. You install solar panels on the roof that provide enough electricity to power your operations—and your home. You could qualify for a federal tax credit equal to 30 percent of the cost of qualified expenditures for a system that serves your home as long as it is used as a residence. The tax credit expires at the end of 2016. You may be eligible for tax breaks available through the State of California as well. Scenario: Ten years ago you retired and relocated to a property you purchased in the San Joaquin Valley in order to pursue your lifelong dream of breeding racehorses. For the first five years, it was touch and go, but for the last two years, you’ve made enough money to provide almost all of your income. Now you’re looking for a tax break, so you’ve decided to donate a conservation easement to the charitable land trust whose land abuts yours. Donating a conservation easement allows you to conserve land, maintain private property rights, and in many cases realize significant federal tax benefits. In 2015, the federal deduction is limited to 30 percent of your adjusted gross income over a period of six years. If you haven’t filed your 2014 tax return yet, but donated land to a charitable trust, you may be able to take an enhanced deduction of 50 percent of AGI in any given year. Don’t miss out on any of the tax breaks you’re entitled to under the tax code! Call Cook CPA Group today at 916-724-1665 for more information about agricultural-related tax breaks. We’re here to help. Bishop the Office Curate goes to Barktoberfest! I know it’s been awhile since you’ve heard from the Office Curate, so I thought I would blog all about our recent trip to a local, fun and animal benefiting festival! 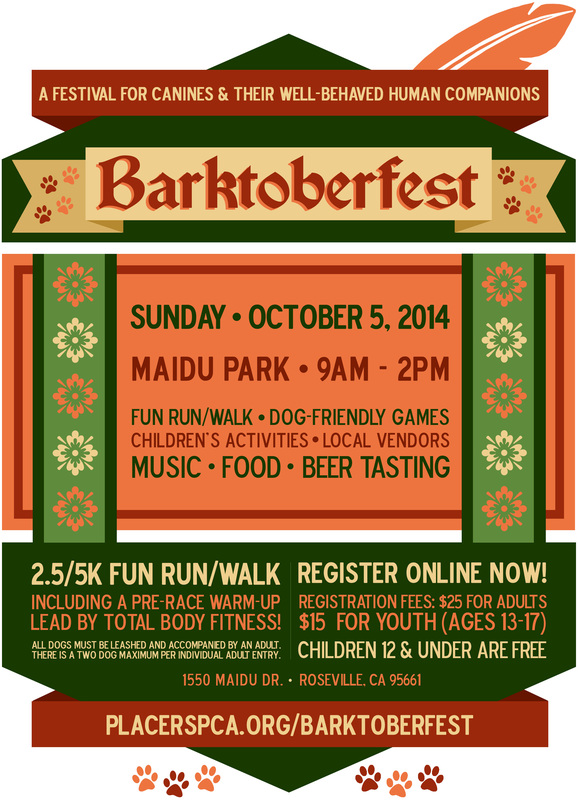 On Sunday, October 5, 2014, my sister Ziva and I took mom to the Placer County SPCA’s annual Barktoberfest at Maidu Park in Roseville. 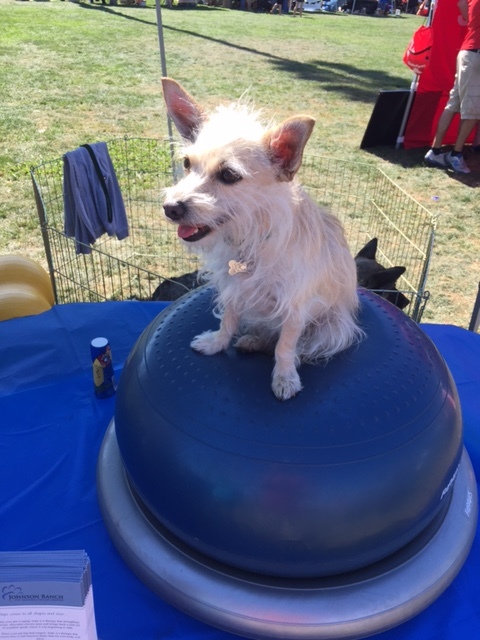 This local festival helped to raise funds for all of the wonderful programs the Placer County SPCA offers to animals and humans in the local community. 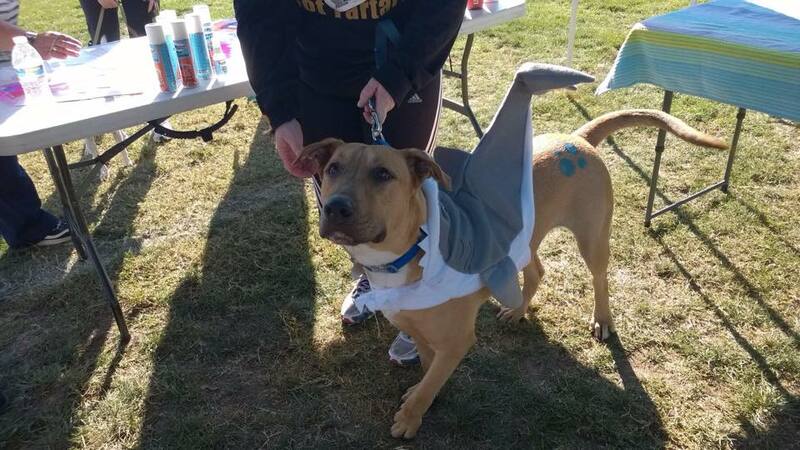 The event kicked off with a run and walk for dogs and their humans. Mom decided we couldn’t do the run/walk because both Ziva and I along for a run might be dangerous. She seems to have caught on that sometimes we like to play tricks on her and run in front of her while she’s jogging, so we didn’t go! of the funniest costumes were the ones with the fake human jockeys on their back. I laughed at each and every one –never gets old! After catching the end of the run and walk, we toured mom around the festival near all the vendor booths and got to meet a lot of different kind of pooches. 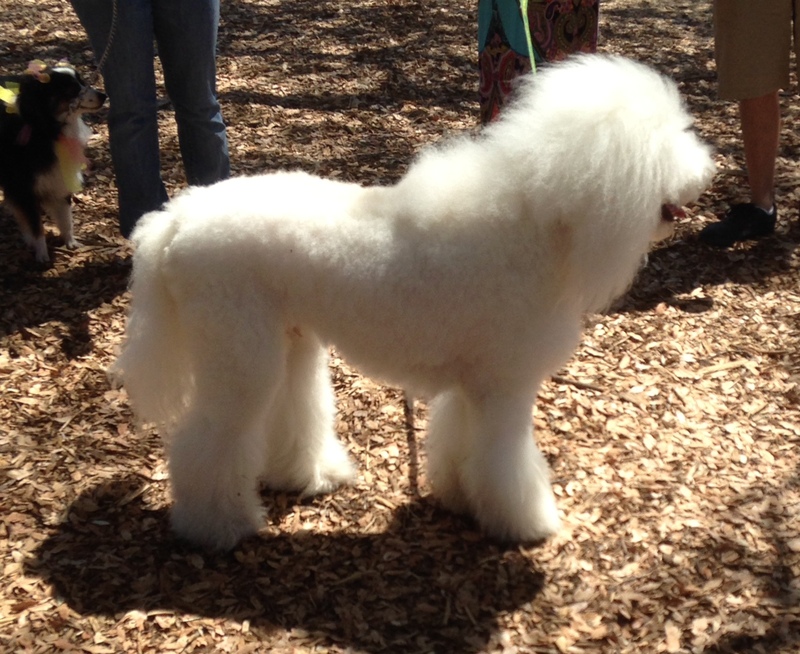 There were all different kinds of dogs around, from German Shepherds, pugs, labs, Pomeranians. 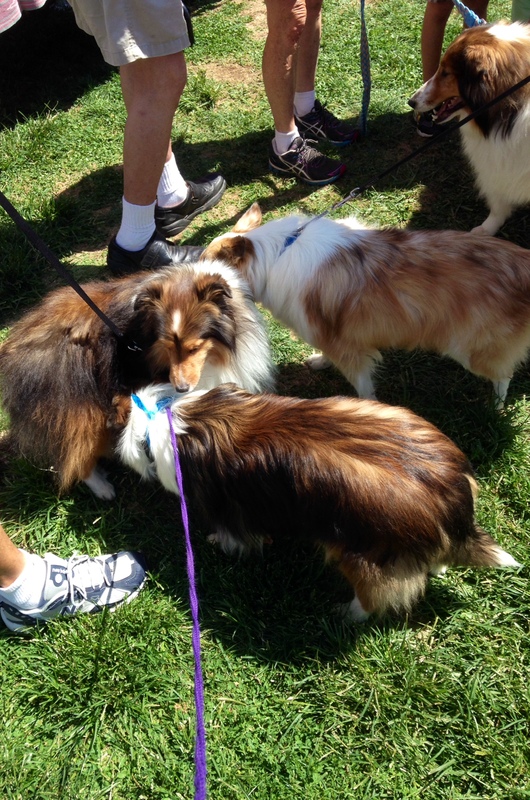 It was very exciting to see so many types of dogs with their humans –mom let us stop and smell most of them! 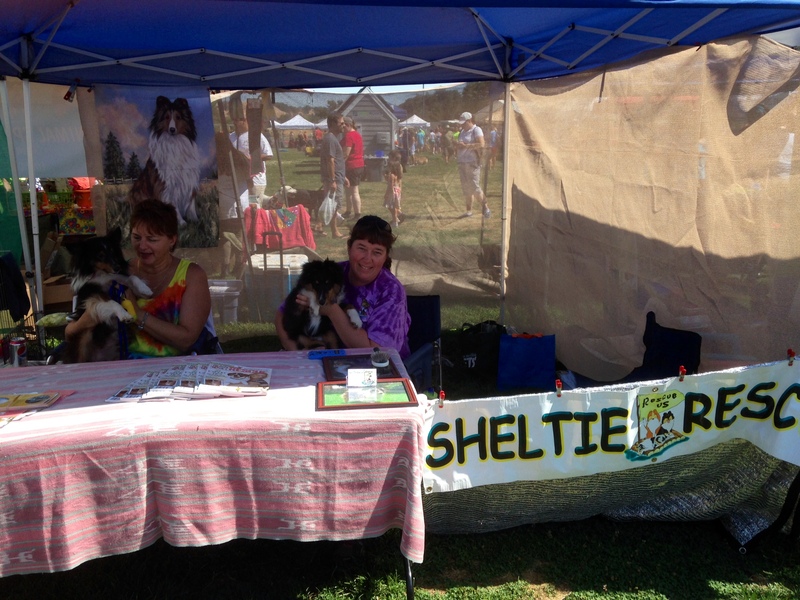 There were many vendors, and many cool things for dogs to do! 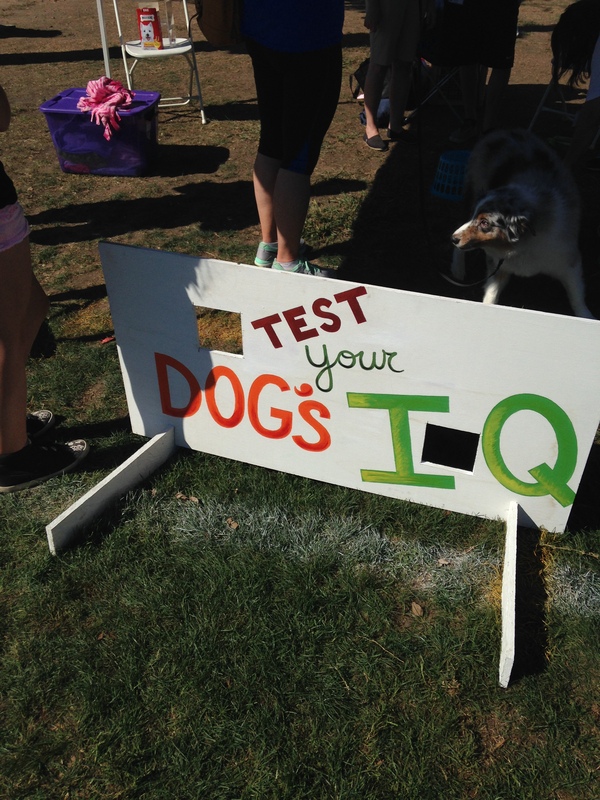 We tried to take a doggie IQ test, whatever that means. All I know is they kept giving us hot dogs….we love hot dogs! 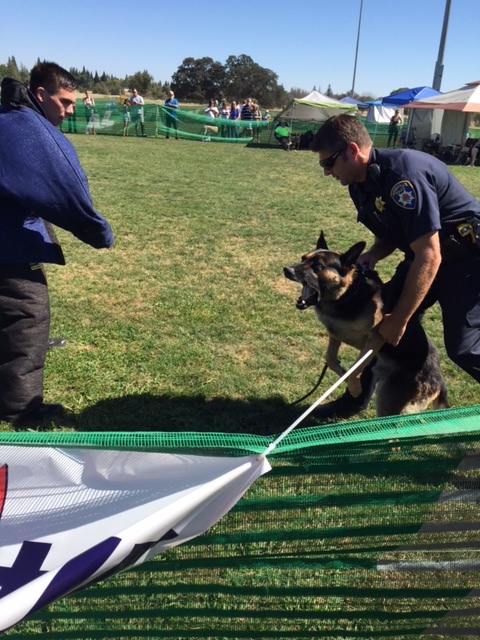 Also, some cool dog demonstrations by German Shepherds attacking humans on command, kinda scary, but those Shepherds really seemed to know what they were doing. The end of our journey landed Ziva a beautiful new bandanna. Overall, it was a really fun adventure and a great cause to lend support! Mackenzie Harder, the progressive President of NuYo Frozen Yogurt leads with his vision of solid customer-oriented businesses. Mackenzie Harder in front of the fabulous yogurt dispensers! The mission of NuYo is not just to provide top-notch delicious premium yogurt with fresh toppings, but the best experience and environment for its customers. The simple philosophy behind this involves empowering NuYo’s employees to offer outstanding customer service, cleanliness and friendliness with each delicious bite. NuYo Yogurt’s Approach: Using a straightforward business approach, Mackenzie established and fine-tuned (with the assistance of a knowledgeable staff and consultants) systems and procedures from the business design, human resources, employee training, from every step down to the delivery of its fresh fruit and freshly topped yogurt. Not Your Everyday Yogurt: NuYo’s dedication to freshness and cleanliness sets it apart from any other yogurt. The top quality yogurt flavors run from the standard flavors like vanilla and chocolate to the fun and exotic like spicy sriracha mango and pink guava. Add to these delicious flavors fresh fruits, nuts, gels and many, many other toppings, and you can’t go wrong! Straight from Mackenzie: NuYo’s President offered his own reflection about what has been his most rewarding part of his participation in NuYo; offering that it’s a time when persons of all ages can come in and truly have an experience enjoying nutritious and delicious treats in a warm, friendly, clean environment. NuYo Frozen Yogurt is located on the corner of Sierra College and Eureka. 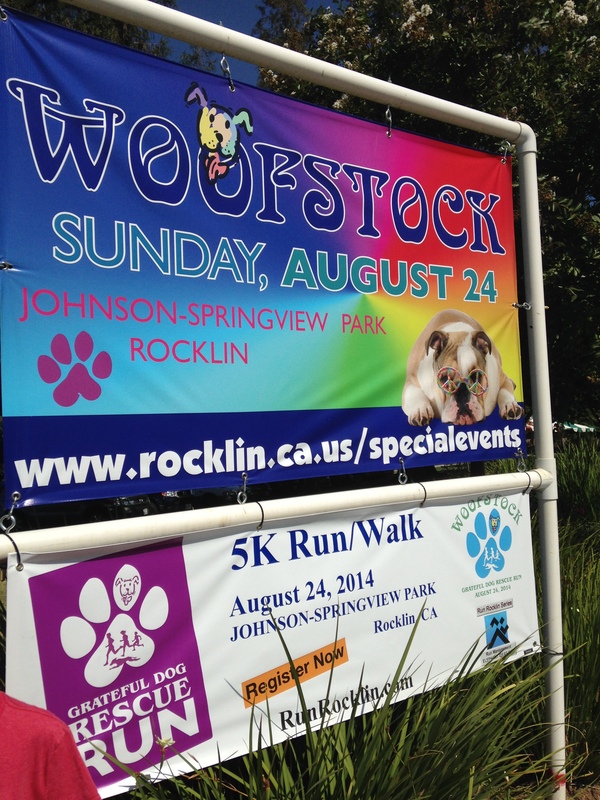 For the past seven years, Rocklin has hosted the premier canine festival in Northern California, known as Woofstock. Woofstock isn’t just a happening place for canines, its human fundraising helps support over 20 local dog rescue organizations. Since it’s in our local community, I decided to take mom this year so she could see some new doggie faces, and hopefully I could get tons of treats! When we arrived, we caught some pretty cool action with the wiener dog races. Those dogs moved pretty quick for being so close to the ground. We didn’t find any treats here, but mom seemed to have a good time. Then we hit the motherload of treats by cruising through the vendor and sponsor booths. There were over a 100 booths, and treats EVERYWHERE, not to mention tons of other friendly dogs of all shapes and sizes! 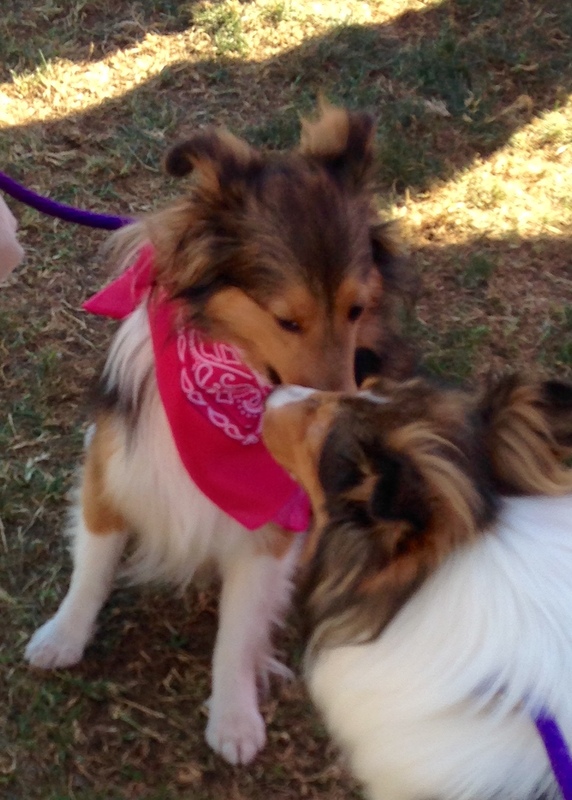 I met some of my friendly cousins at the Sheltie Rescue booth. After cruising the vendor booths and gathering up as many treats as we could find, mom decided to stop for a human bite to eat. Mom had a smoothie, which wasn’t very tasty, but I found TONS of food that humans had dropped under the picnic tables. Humans seem to have trouble keeping foods off the ground! There were so many humans sitting and eating, it was a smorgasbord of deliciousness! 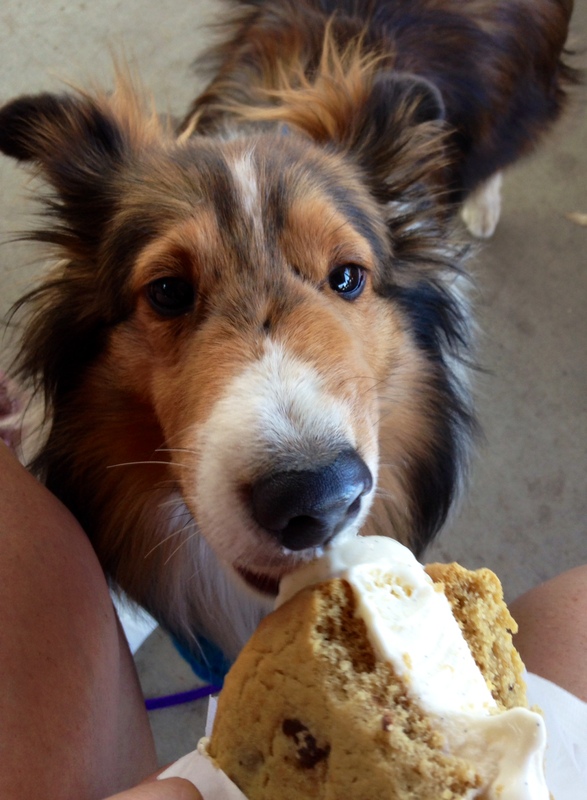 Mom even said I was being so good that she had to share her dessert with me. I didn’t care for the brown stuff, but that white stuff was so cold and delicious! 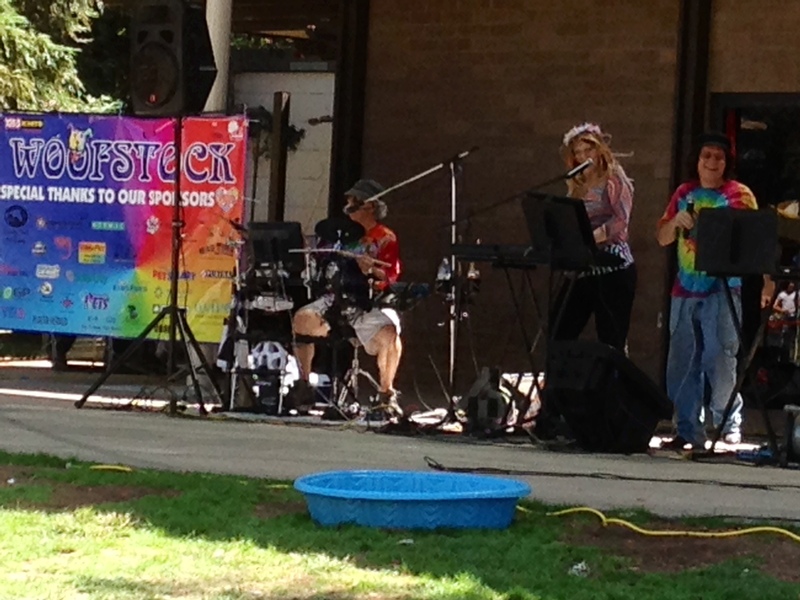 Once we finished our foods, we went and hung out by the Woofstock band. They played some pretty cool tunes, and some humans even tried to dance with their canine friends ! Thankfully, mom didn’t try that with me –I’m just a puppy, I don’ t know how to dance! 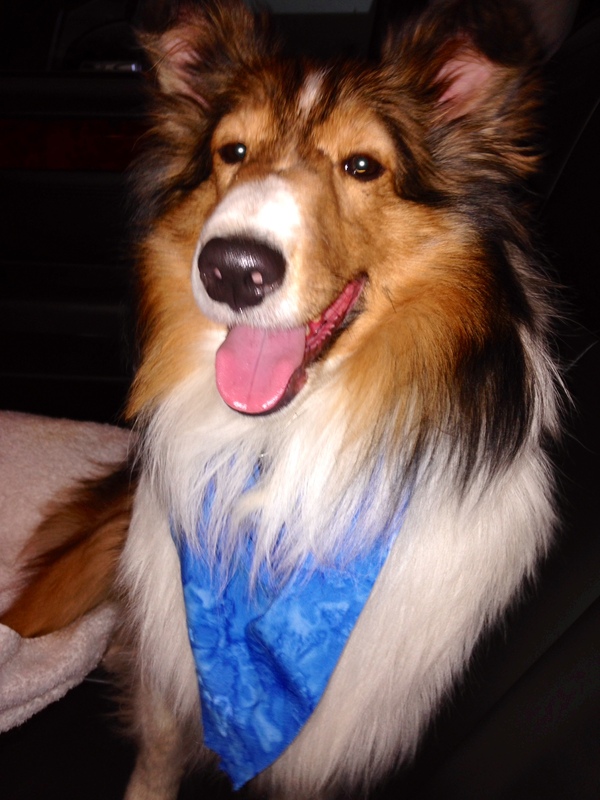 Finally, our last stop landed us with my new accessory –a blue bandanna! I love it almost as much as the treats!! !